It’s that time of year again. 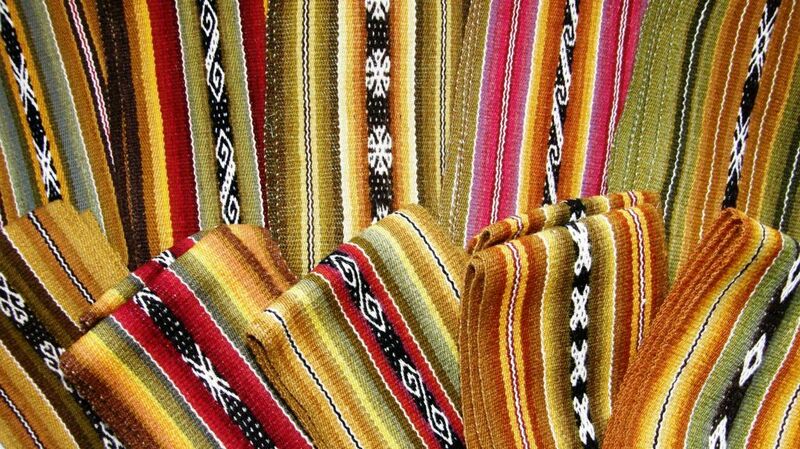 The beautiful bands that I order every year from a group of spinners, dyers and weavers of Cochabamba in the central highlands of Bolivia have arrived….a box of color and rich aromas from the countryside. These are also the ladies who are part of the team that took part in the 2014 global spinning event –Spinzilla. I wonder if some of that Spinzilla thread was used for these bands. 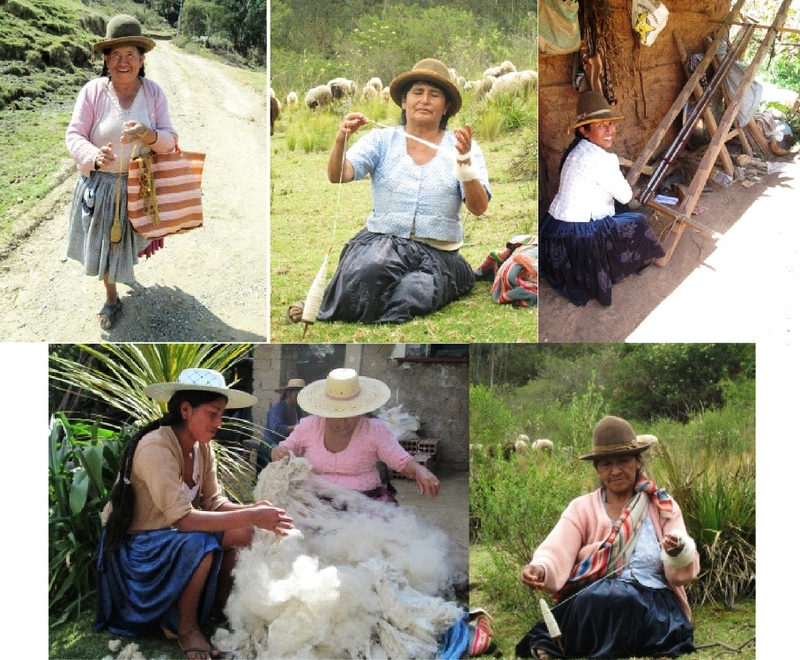 Dorinda Dutcher of PAZA Bolivia, lives in Independencia and devotes herself to promoting the recovery and revival of these fiber and textile skills. She told me that the ladies were overjoyed to have the time of the Spinzilla event to spin, chat and laugh. It was exactly what they used to do as young teens. They would head out with the family flocks and meet up at a rendezvous point. 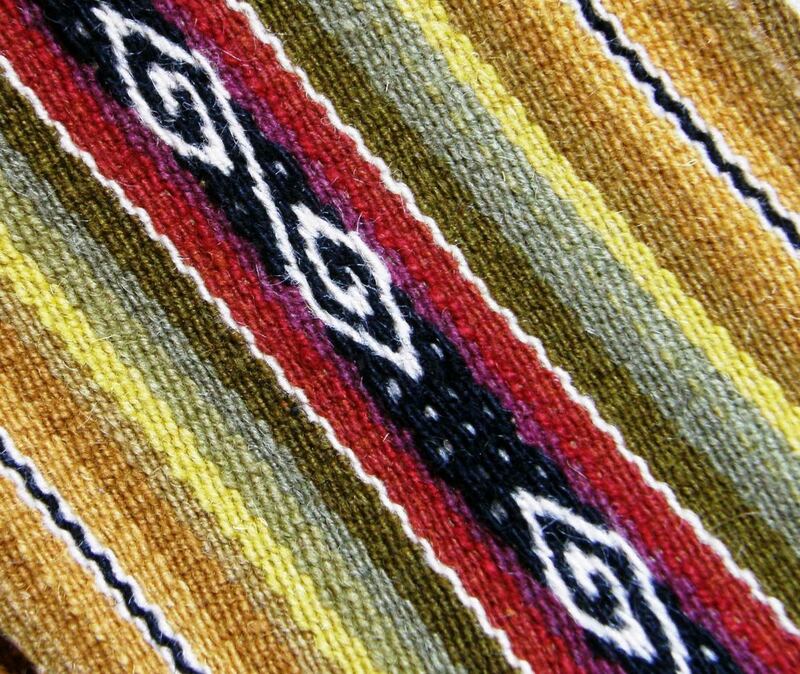 The hottest topic of conversation would be the weaving advances they had made for the creation of their aguayos, the large pieces of cloth worn over the shoulders, that would be shown for the first time at Carnaval. Because the ladies challenged and competed with each other, it was the time of their finest work. Now their daughters go to school and that particular tradition is no more. 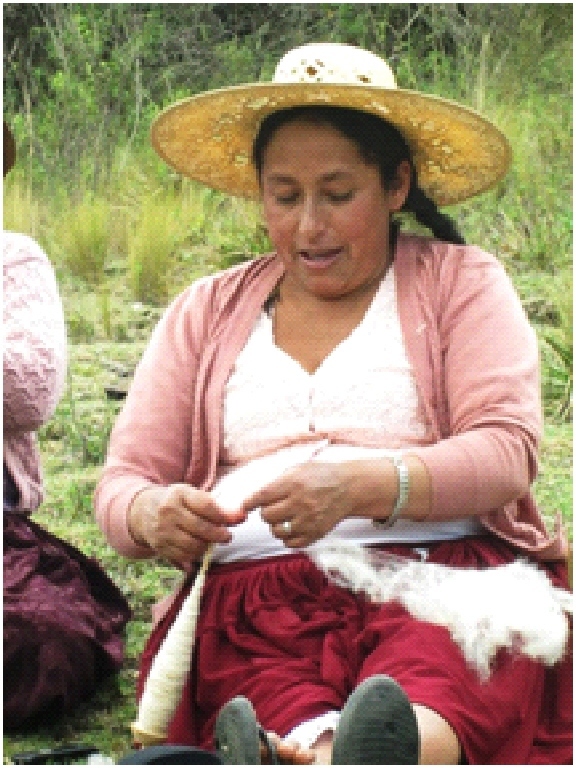 Doña Máxima, at left, is one of the few weavers whose daughters weave, most of the weavers’ daughters having migrated to the cities. I can’t help showing you picture after picture of individual pieces so that you can better see and enjoy the color arrangements. I love seeing how the varying amount of twist in the handspun yarn creates different textures in the cloth and how each weaver has decided to arrange the colors that she has available from the latest days at the dye pot. 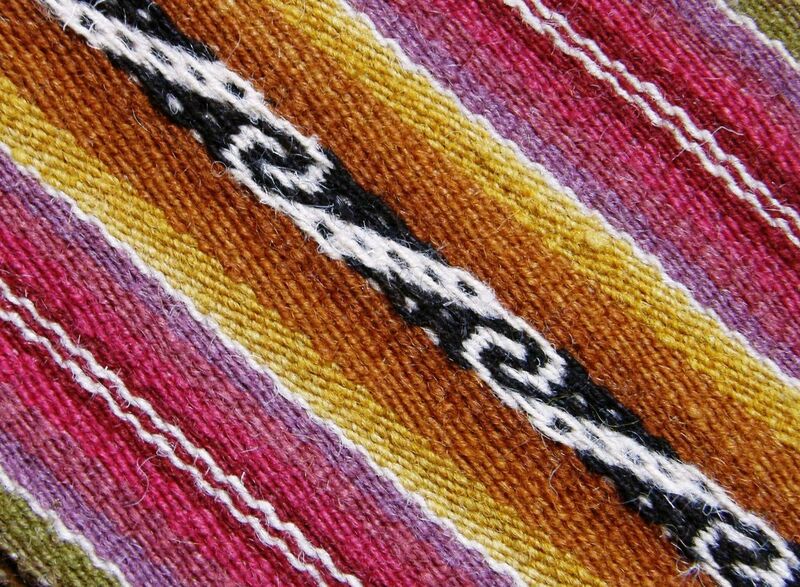 All the patterns are Andean Pebble Weave. 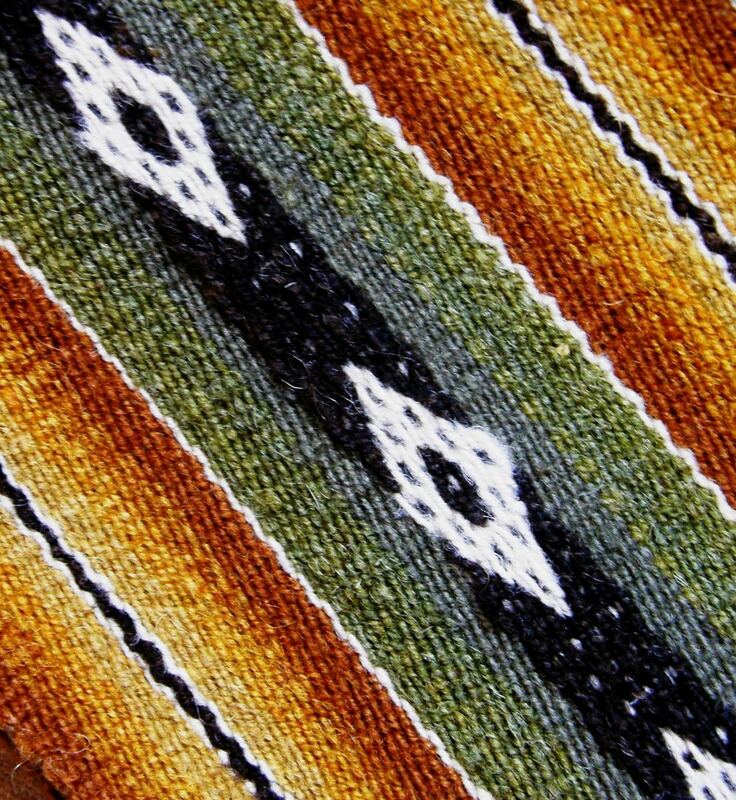 And, we have our own talented spinners, dyers and weavers in the Backstrap Weaving Group on Ravelry as well as members who are brilliant at combining colors. 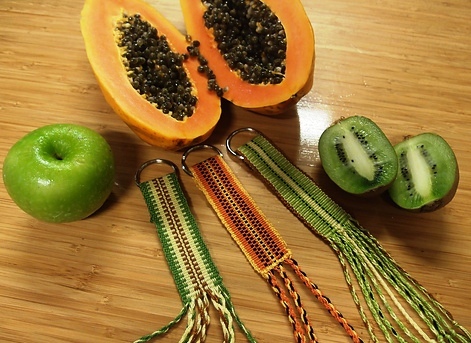 Julia T in her home in tropical far north Queensland in Australia was inspired by the colors of nature and used fruit to inspire a set of bands for key fobs. She captured the essence of the fruit so well! 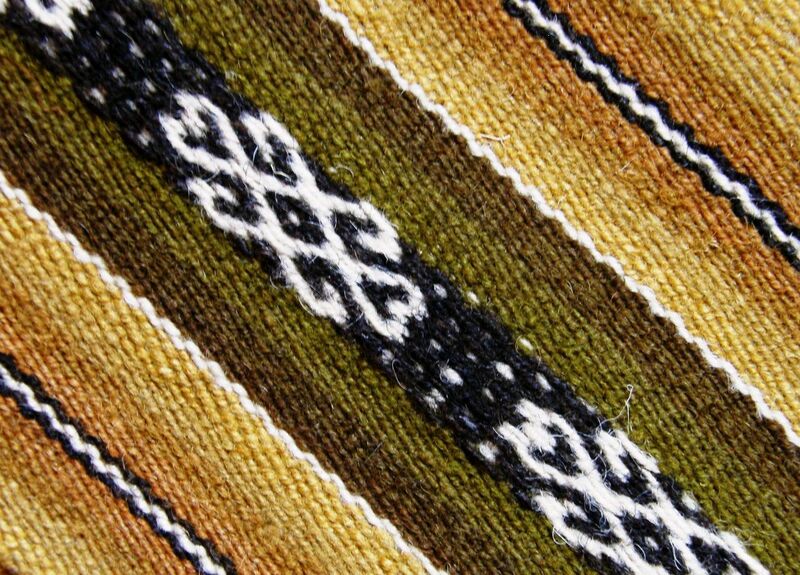 Catharina joined our group to share with us her explorations in traditional Estonian patterns in the supplementary-warp structure and our minds have been blown. 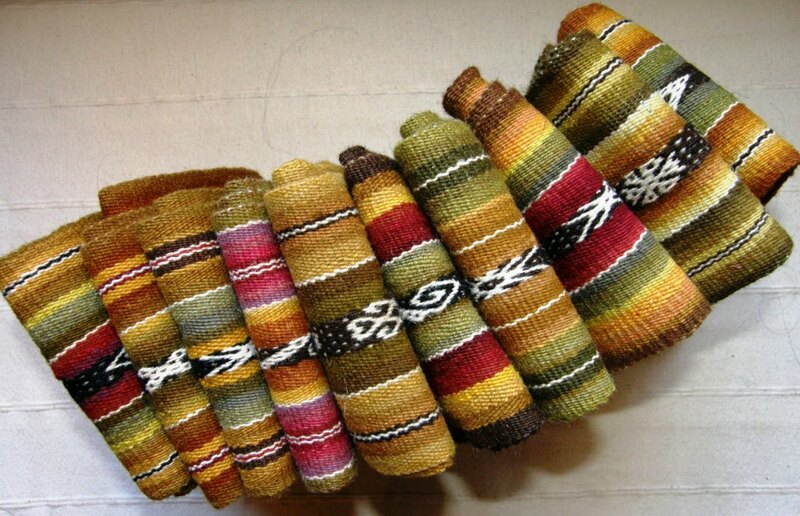 Julia T, Arlene and Betsy worked on Andean Pebble Weave bands. After her first sample, Betsy added more twist to her handspun wool and is happier with this latest result. 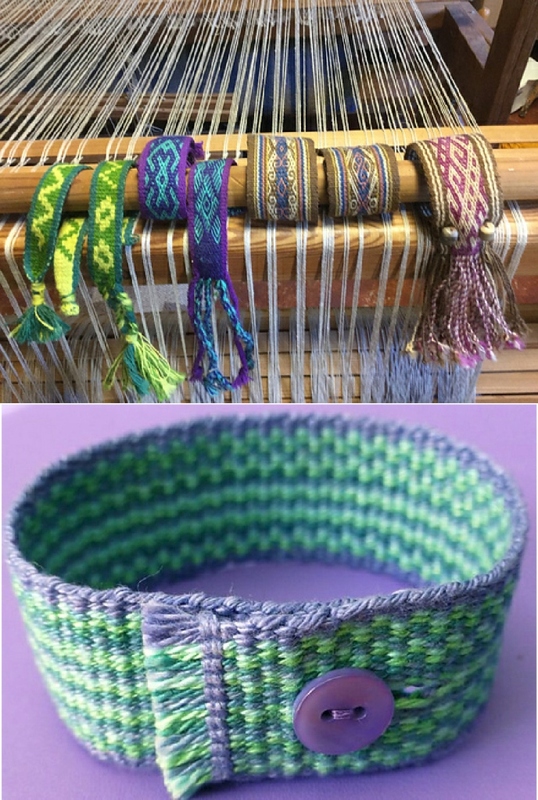 Arlene’s band, with its rope pattern, has an unusual and attractive tapered finish and Julia T used JoAnne’s original cat design along with her own heart composition and a knot work motif from my second book. 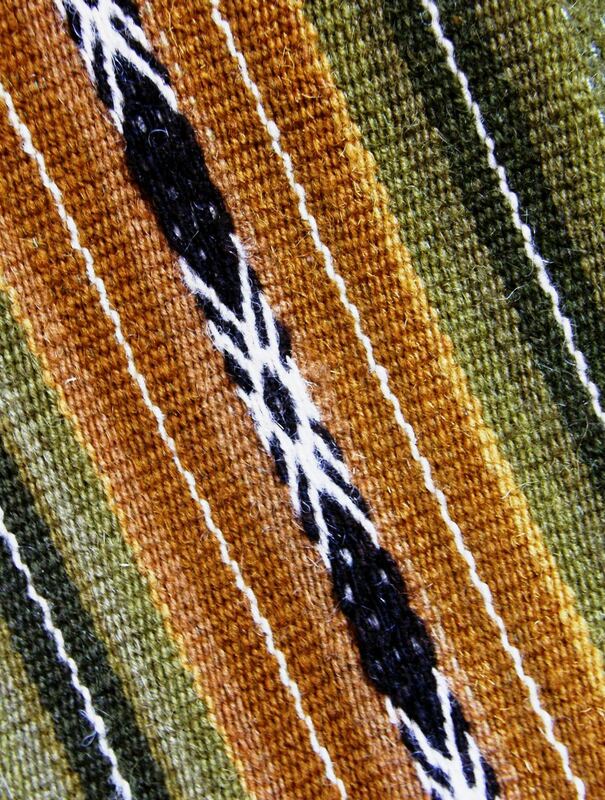 I love that plain weave continues to be popular inspiring more and more creativity in combs and stripes. What I have dubbed ”Wendy’s Watermelon Warp” (center bottom left) inspired the idea for Julia T’s tropical fruit collection as well as Gwen’s comb combo, above right. 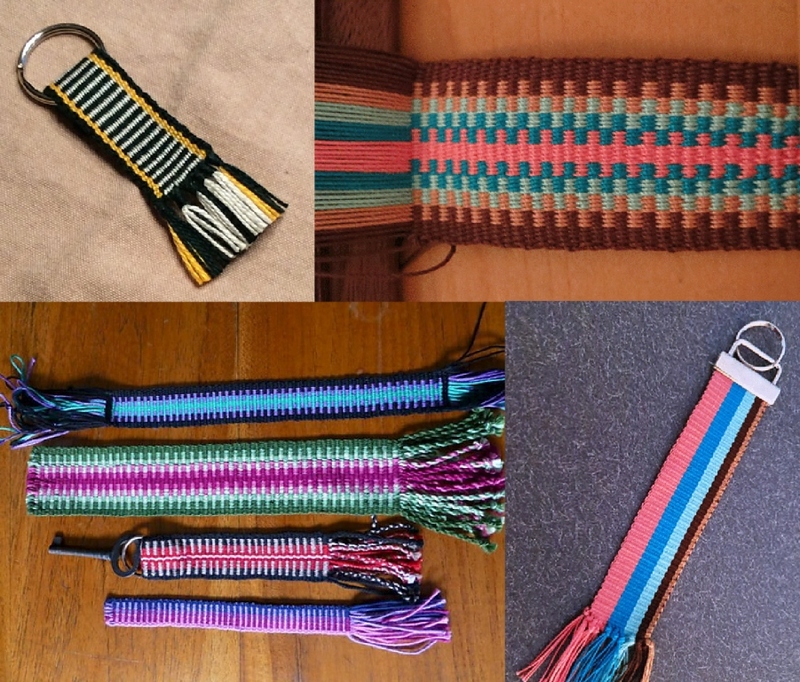 WannaGTD wrapped the warp-ends for a neat finish on a her classic band of horizontal bars. The yellow stripes really give it a zing. 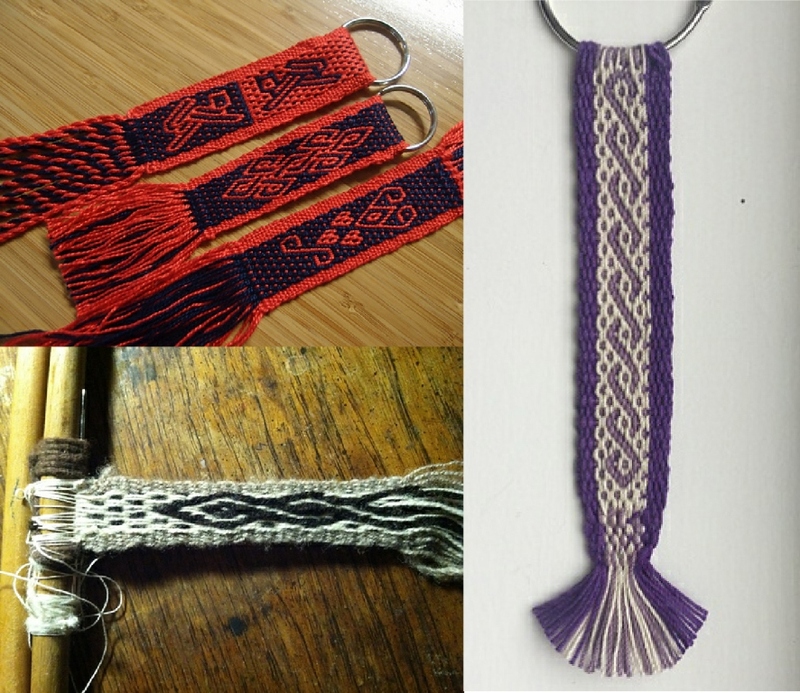 Supplemental weft made another appearance in the work of Valtricot, above left, Linda, center bottom, and Wendy, bottom right. 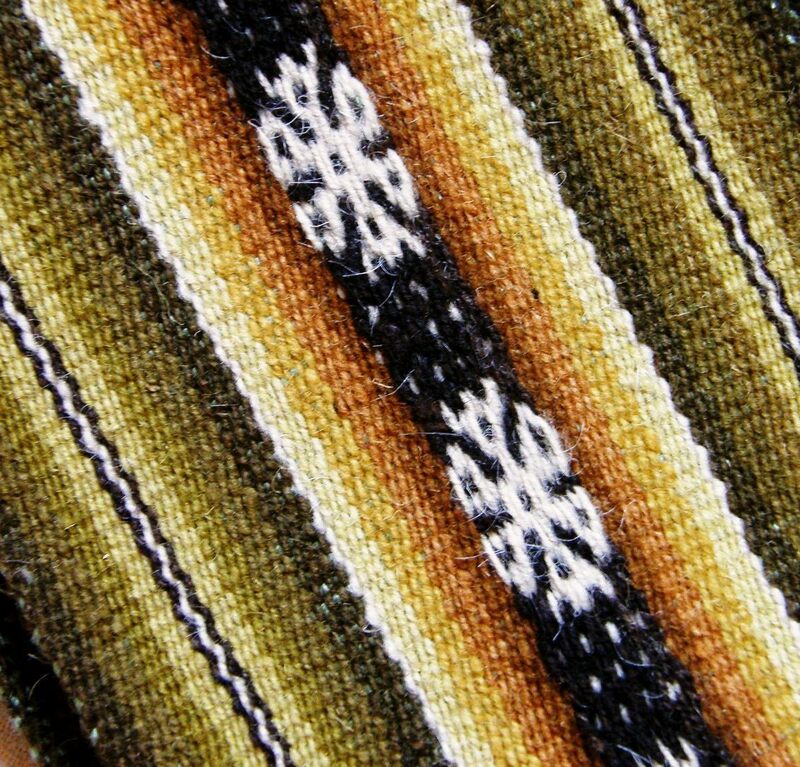 Wendy also put to use her considerable skills in Bhutanese supplemental weft technique. Susan celebrated Valentine’s Day with her own composition of hearts in Andean Pebble Weave. I like how she added the small heart spots betwen the large motifs…they really set it off. I had been reading comments online about confusion in the English-speaking world about what exactly the animal is for this Chinese new year…a sheep, a goat, or…???? 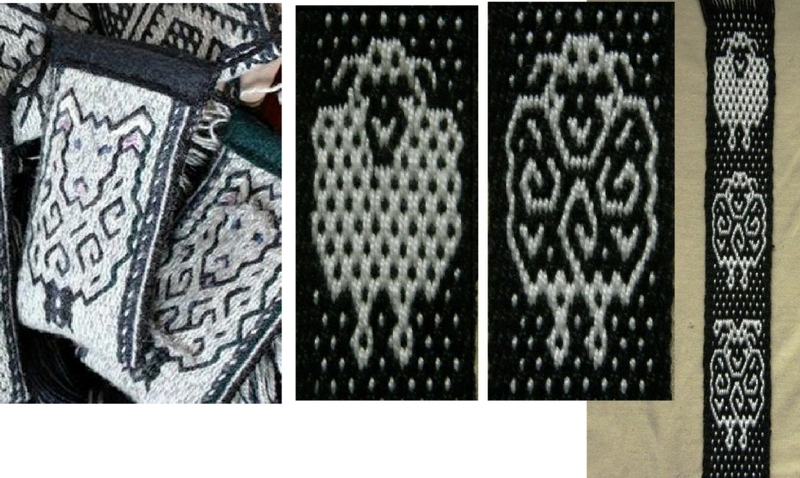 At the same time, I spotted Louise Ström’s sweet tablet-woven pouches (above left) with their animal motifs and decided that I would try something similar in Andean Pebble Weave (above center and right). The level of success of my attempt to create sheep will be left for you to decide! 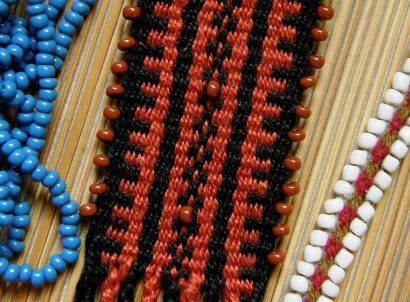 I also played with beads, at left, in a plain-weave comb design band. I lined the edges with beads and popped couple up in the center just to see how they would hold there. 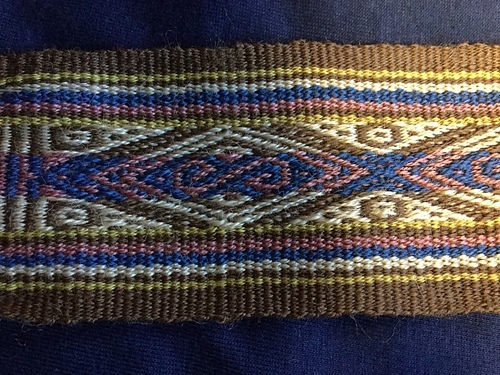 I think I would like to use beads in the center of a band to form part of the pattern itself. 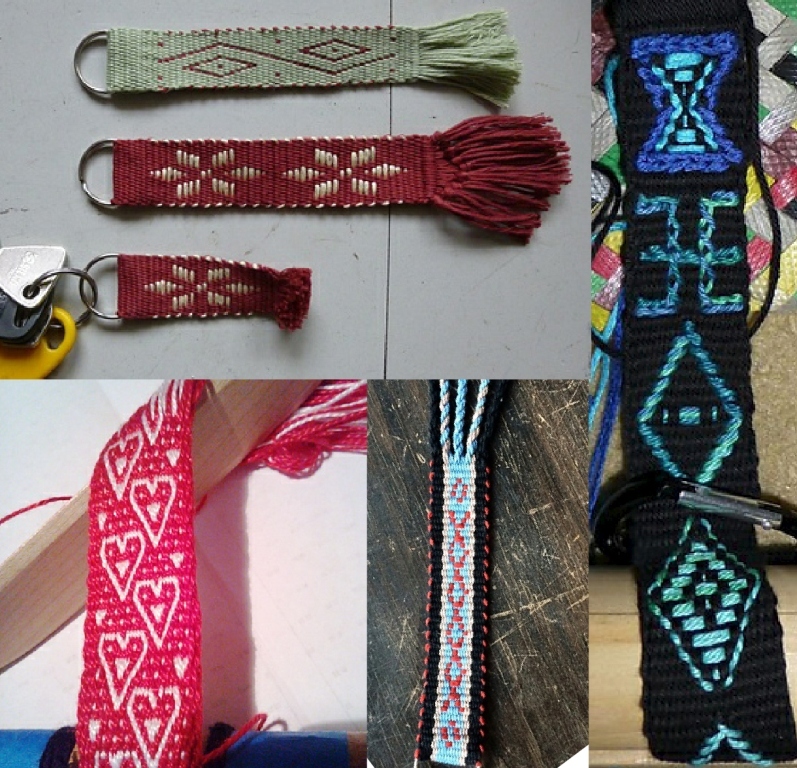 My large three-color Andean Pebble Weave/ikat bird project is moving along at a snail’s pace with the workshop prep and key fob WAL having occupied my attention for the last few weeks. 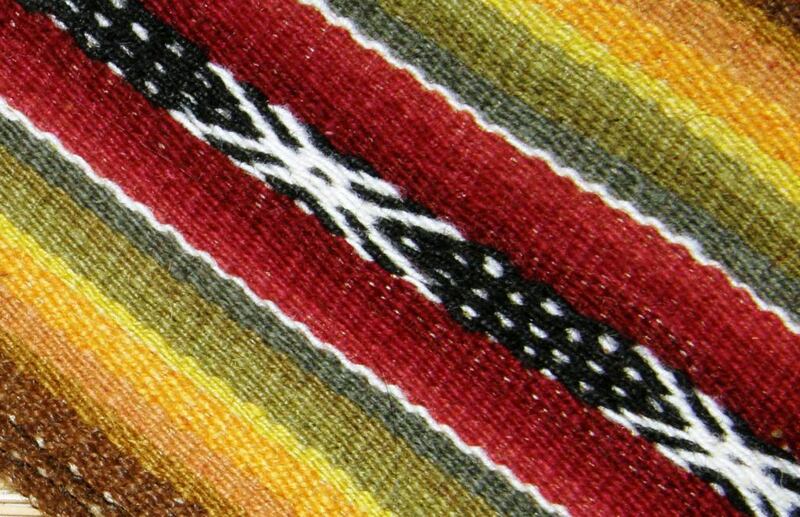 And now I am going to warp to make covers for some small journals that I would like to take away and give as gifts. 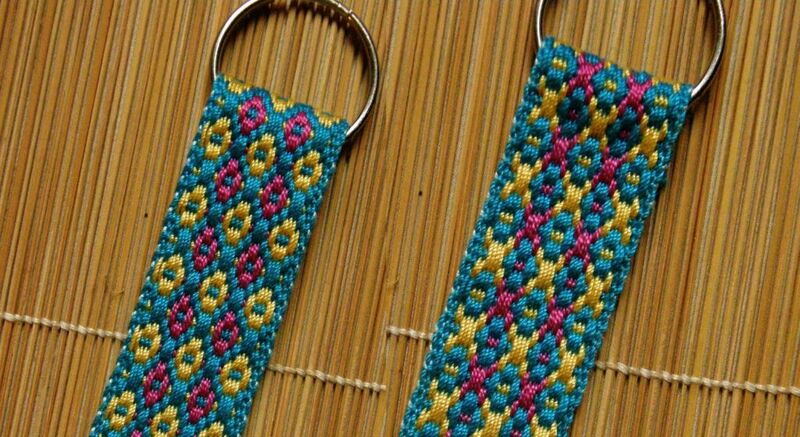 One of the key fobs I wove during the WAL will serve as my width sample for the Guatemalan thread that I want to use. 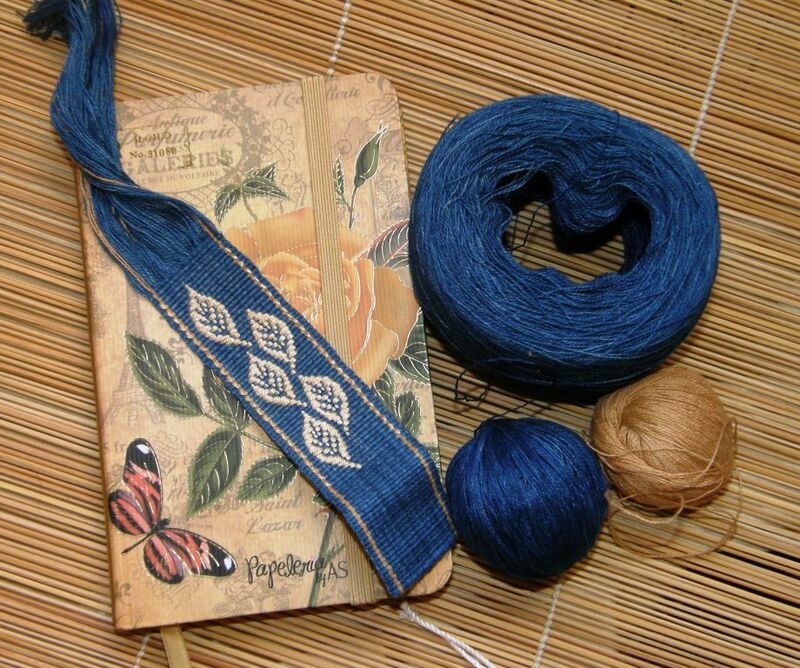 I will use patterns inspired by nature…my little leaf motifs that I like so much. 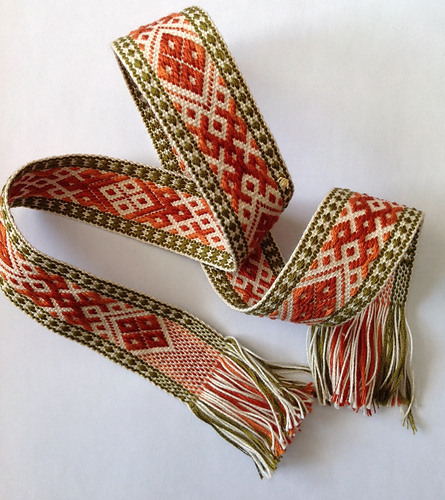 « Backstrap Weaving – Warping, warping…. Thanks so much, Laverne!! The colors are amazing! The sheep are so cute! You are so creative and inspiring!